SPRINGVILLE, Utah — U.S. officials have long worried that weaponized drones could be used to hit “soft targets” like sporting events and political rallies, as allegedly happened in Venezuela earlier this month. A Utah-based company, however, gave NBC News an exclusive look at a potential answer to killer drones. Backed by Boeing and other investors, the airspace security company Fortem Technologies is developing a “good” drone called the DroneHunter, and has made sales to the U.S. Department of Defense, major airports and sports stadiums. 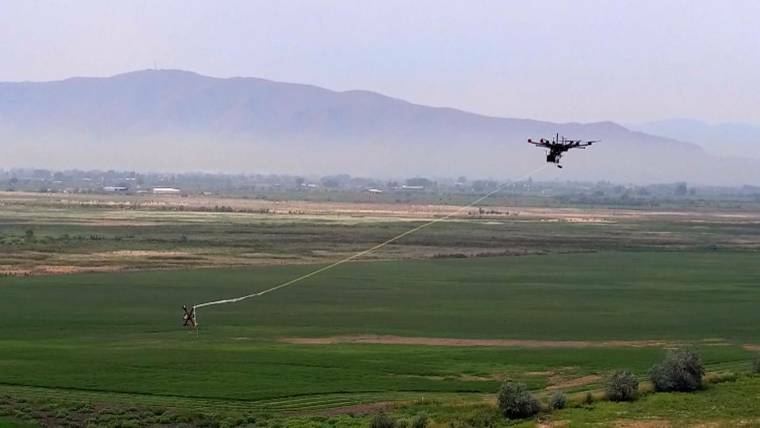 In a Utah field, TODAY National Investigative Correspondent Jeff Rossen watched as Bean put the DroneHunter to work against an “enemy” drone loaded with real explosives that was launched from the depths of a nearby forest. Within seconds, the DroneHunter, a silvery spider about three feet wide with multiple propellors had detected the enemy in its airspace and had begun to follow it — all without any human control. The DroneHunter locked onto its prey and then shot out a net to capture it. The net, fired like a bullet at 80 miles per hour, can catch a target 25 feet away. The blades of the enemy drone stopped turning, and the DroneHunter dragged the explosive and its explosive payload, dangling in a net, a safe distance away. Once the enemy drone had been delivered to a location preprogrammed via GPS, the Fortem team detonated it. If there are multiple enemy drones in the are,a the DroneHunter can snare one with its net, drop it at the safe location, and return to capture more drones, all without ever landing. 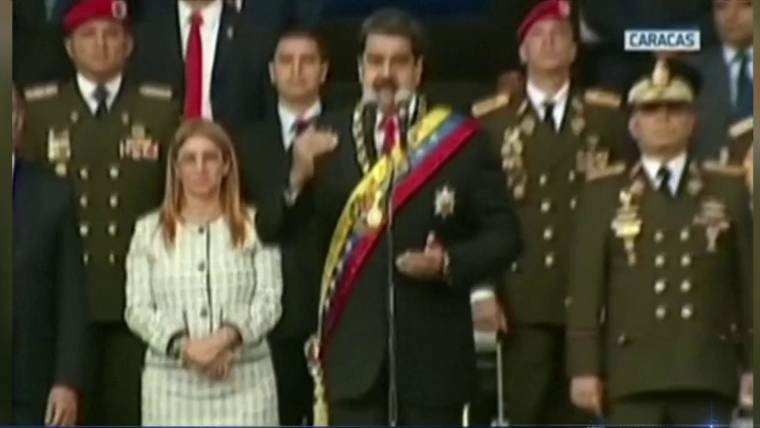 Earlier this month in Caracas, according to the Venezuelan government, would-be assassins used drones packed with explosives in an attempt to kill President Nicolas Maduro. 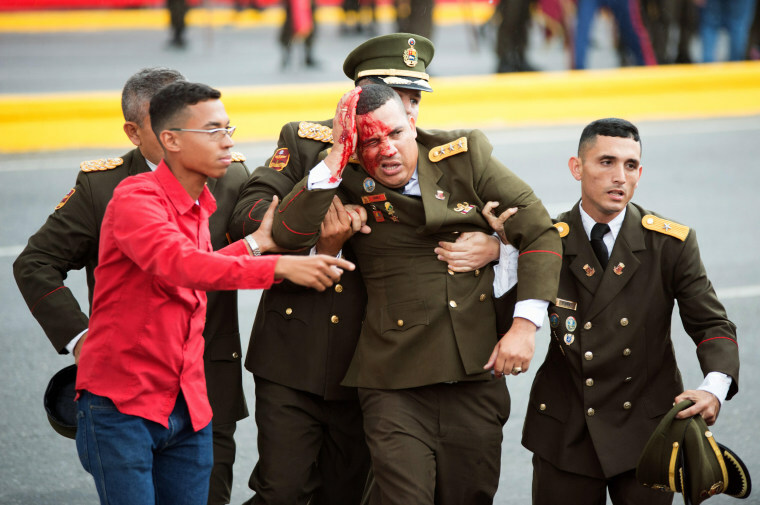 Maduro survived the attack, but seven soldiers were injured, and the attack on a crowded public square showed the deadly potential of a technology that is cheap, popular and easy to operate.